Bet You Didn’t Own a Business and Make $1,600 a Month When You Were 16. This Girl Does. What were you doing when you were 9 years old? Having sleepovers? Eating pizza? Figuring out which kind of cootie shot is most effective? That’s what I was doing — along with actively anticipating my first “double-digit” birthday. Sydney Englund was starting a business — and I’m not talking about a lemonade stand. 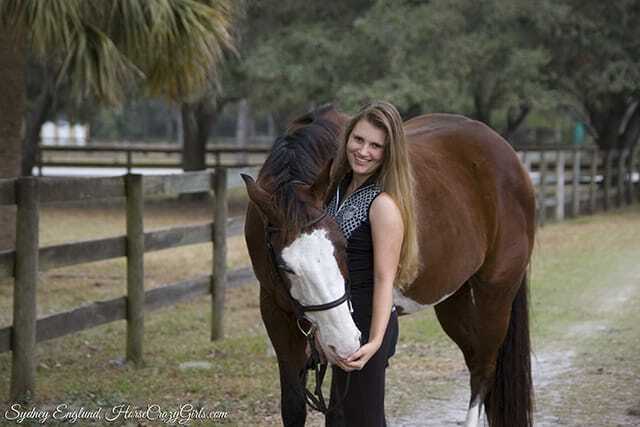 She runs HorseCrazyGirls.com, a website where young girls share their horse-craziness with stories, pictures and games. The site’s still going strong eight years after its inception, and now-16-year-old Sydney is a savvy entrepreneur. She makes between $400 and $1,600 per month working only four to six hours per week. The Penny Hoarder spoke with Sydney to learn about how she built a business before the age most of us get our first jobs. After riding ponies at the fair when she was 5, Sydney fell hard for horses the way it seems only little girls can. Her obsession led her to search for horse websites aimed specifically at young women, and she found few results. So in 2007, 9-year-old Sydney (with some help from her mom) started HorseCrazyGirls.com to create the community she couldn’t find on the web. Sydney designed her site to be a place for girls to gather and share their love of horses and ponies. Users submit pictures, stories and even horse name ideas. HorseCrazyGirls has more than 10,000 published submissions to date. But Sydney soon realized she could benefit from the website’s earning potential, while still helping the site’s readers. Sydney reviews horse-related products, gear and games, and earns money online for ad clickthroughs and product purchases. Like many bloggers and web-based solopreneurs, the bulk of Sydney’s earnings come from affiliate programs like Amazon’s, as well as Google Adsense revenue. She also hosts free giveaways to promote the products she reviews, and is currently working to secure site sponsorships with high-profile brands of equestrian equipment, like helmets. She’s even planning on launching her own product line. Kids today are busy — just ask any mom running a makeshift chauffeur service, bouncing between soccer practice, ballet recitals and Sunday school. When I asked Sydney how she manages a business in her spare time, while also juggling school and riding lessons, she said to prioritize and delegate. Sydney still gets some help from her mom during the school year, but increasingly runs the business on her own. The site sees more traffic (and higher earnings) during the holidays, when readers buy gifts for the horse-obsessed girls in their lives. Sydney says she prepares for the traffic ahead of time, when she’s on summer vacation. You’ve heard it before: Flexible hours are one great perk of self-employment! Sydney also enlisted the help of a third-party IT company to manage the site’s back end, as well as a virtual assistant to vet the large number of content submissions to the site for plagiarism and quality. This allows Sydney to optimize her personal involvement with the business. She can focus on bigger goals, like a pending site redesign. The total time investment to manage the site? About 10 hours per week, she estimates. Not bad for minimum earnings of $400 a month — especially for fulfilling work. “I find it really rewarding,” Sydney said — and that compensation is priceless. Sydney grew up alongside her website, and she learned valuable lessons along the way. Since she was so young when the site started, Sydney didn’t have concrete ideas for what kind of content to include. The oversight is understandable, but it hit hard when Google implemented Panda in 2011. Sydney has plans to improve the website and grow her business, including creating a better layout and integrating more video content. These improvements, along with product sponsorships and proprietary product launch, make the future look bright for HorseCrazyGirls. “I’d love to have this website support my riding full-time, and have it as my full-time job,” Sydney said. But like any savvy businesswoman, she has a backup plan: go to school, pursue a medical degree and become a dermatologist. Starting a freelance business of any kind can be daunting, especially a content-based web business. With so much content already available, how can you bring people to your site? What can you do to stand out in a vast, blue sea of links? Sydney’s story gives us the answer: Find the thing you’re passionate about, and figure out what you can bring to others who share that passion. In the case of HorseCrazyGirls, it was an online community around a common obsession. You need to be prepared for rejection and unexpected turns — Sydney persevered despite the Panda snafu and continues to pursue multiple brands for sponsorship. But in the end, the hard work is worth it. There’s nothing better than getting a paycheck for following your dreams. “If it’s what you want to do, you should go for it. It’s worth it if it’s something you love,” Sydney said.